Location, Location, Location. 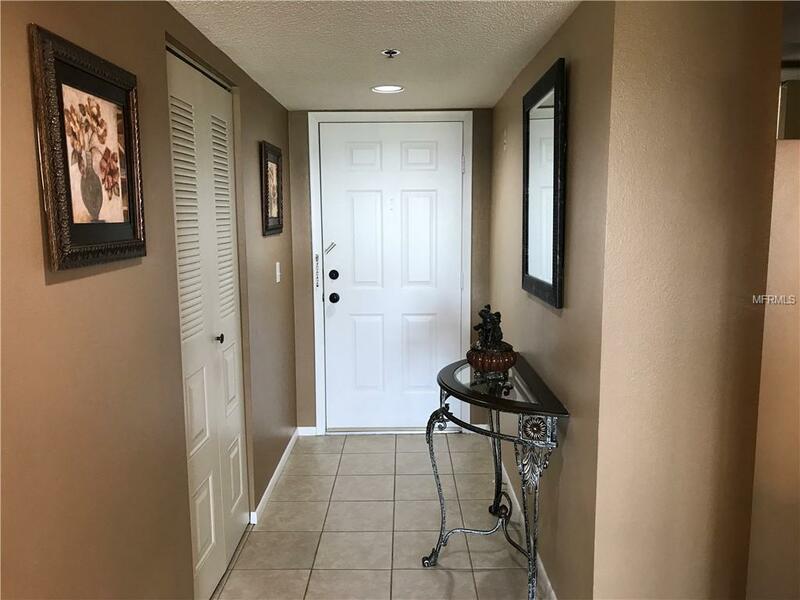 This beautiful Bayhill split-floor plan, 2 bedroom 2 bath, is tastefully turnkey and move-in ready. Recently painted, new berber carpet and tile flooring. An open floor plan with an eat-in kitchen fully equipped with generous cabinet space and a nice-size pantry. A pass-through opens to the combination living/dining room. The large master bedroom features an en suite bath and a 8'x7' walk-in closet. A nice-size second bedroom with a large closet. 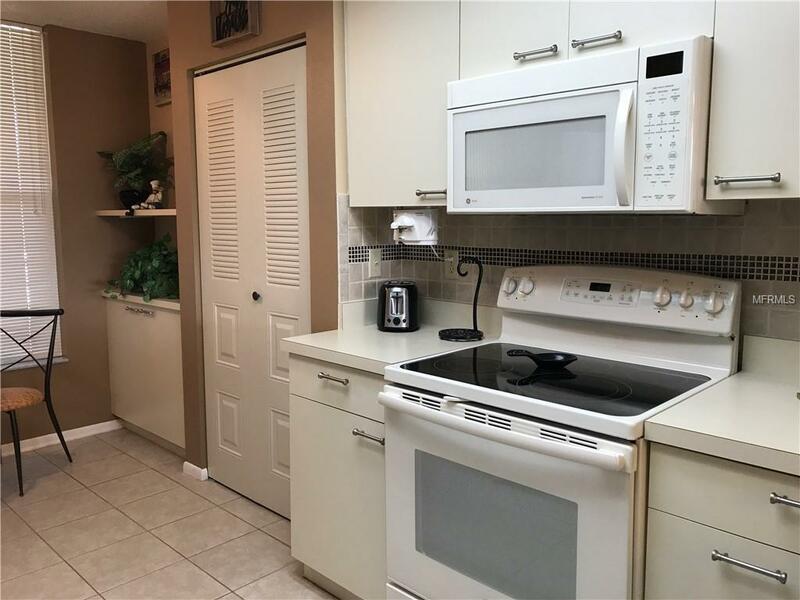 Ceiling fans in every room, an interior laundry room with plenty of storage cabinets and washer/dryer. A sliding glass enclosed lanai where you can enjoy the view Of the fairway and pond on the Pinebrook golf course. Golf membership is available but not mandatory. One covered assigned parking space. Condo conveniently located next to the elevator, trash shoot, and storage locker. 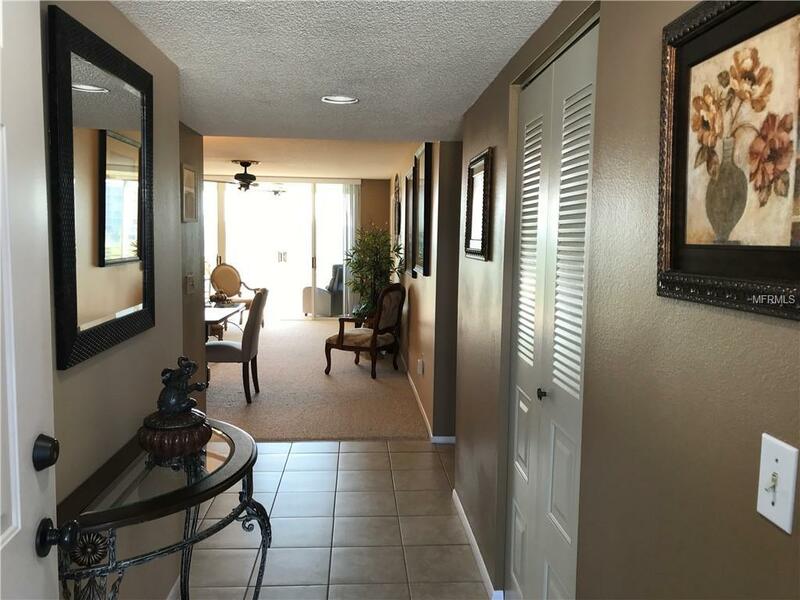 Steps away from the clubhouse with a heated pool, exercise room, library, kitchen, meeting area, game room, craft room, tennis course, and a large screened eating area with a barbecue grill. This building does allow renting with a minimum lease of 3 months during your first year of ownership. No age restrictions, one small pet. Reasonable condo fees (includes cable and internet). Would make for a great investment, or just to move in and start living the Florida lifestyle. 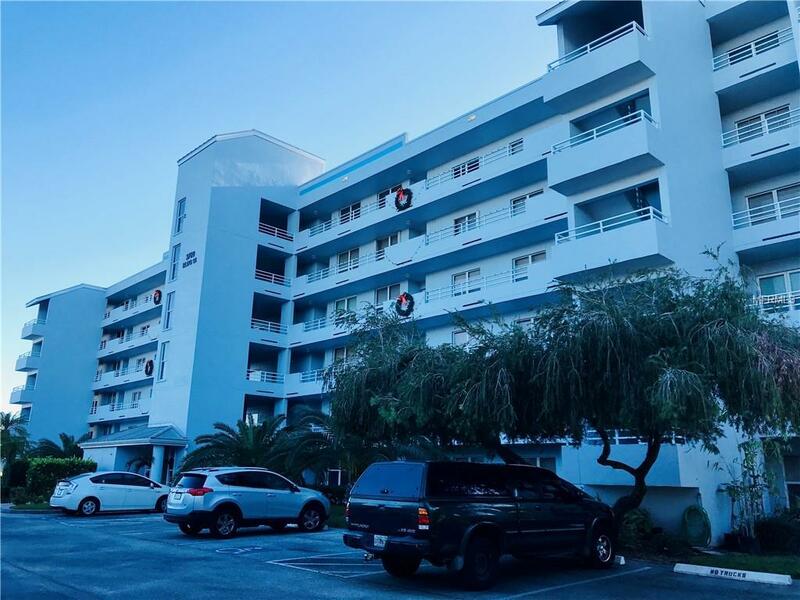 Centrally located close to all convenience and medical facilities, and the beautiful beaches of the Gulf of Mexico. Property sold as is with right to inspect. Additional Lease Restrictions Three Months Minimum Rental.